This training programme is for a School Management Team - the people in a school who are responsible for school trips. It's all about making sure that school trips are carefully planned, appropriately risk-assessed and well managed. IIRSM approved & CPD accredited training. This School Trips Training for Management programme looks at how the risks associated with School Trips are managed, and who is responsible for making sure this is done. It also looks at legal requirements, costs, contributions and consent. It’s all about making sure that school trips are carefully planned, appropriately risk assessed and well managed. In the past, the HSE have prosecuted schools that showed "recklessness or a clear failure to follow sensible precautions" whilst on school trips. Keep your students and staff safe when on school trips and avoid any health and safety breaches with our school trips training programmes. There are two programmes on School Trips. This is the first. This one is for the Management team – the people in a school who are responsible for school trips. The second programme is for the person who organises the trip and is also useful for anyone who helps out on a trip, including school staff and non-school staff acting as volunteers and helpers. The person organising a trip should do both courses. The School Trips Training for Management course is broken down into 3 sections. This section looks at who is responsible for doing what in relation to school trips and what the legal requirements are. In this section we consider the questions which should be asked when doing a risk assessment. We look at the different levels of risk and how risk assessments are done. There are certain things schools can and cannot charge for. We look at this in relation to school trips and we look at the different insurances which are required for school trips. This School Trips Training for Management course concludes with a 10 question multiple choice test with a printable certificate. In addition, brief in-course questionnaires guide the user through the sections of the training and are designed to reinforce learning and ensure maximum user engagement throughout. Your School Trips Training for Management Certificate includes your name, company name (if applicable), name of course taken, pass percentage, date of completion, expiry date and stamps of approval or accreditations by recognised authorities. Informative course and easy to understand. Gives the user a clear understanding of the different responsibilities. A quick training containing all essential information for people in schools managing and organising trips. Read our full reviews for School Trips Training for Management. The Common Law Duty of Care and The Children Act 1989 require that teachers do all that is reasonable to protect the health, safety and welfare of pupils. The Health and Safety at Work Act 1974 requires all employees to care for their own health and safety and that of others. 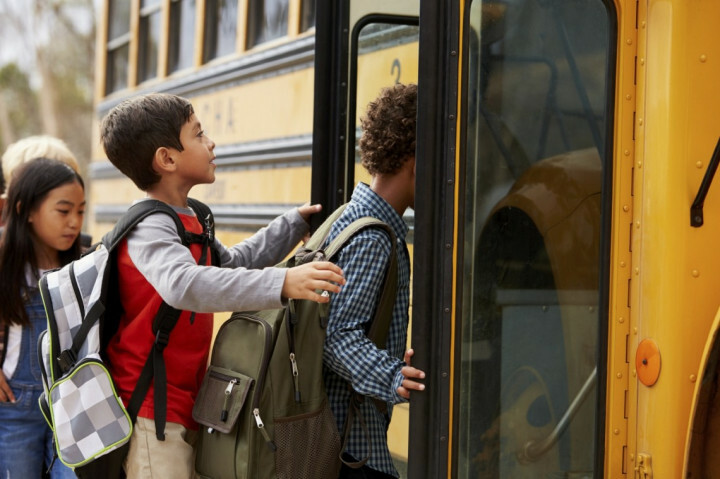 In the case of school trips this means that teachers must take reasonable steps to protect their own health and safety, that of the pupils they accompany and also that of anyone else who may be affected by the delivery of the trip. The Management of Health and Safety at Work Regulations 1999 requires risks to be appropriately assessed and measures put in place to reduce or eliminate risks. The Adventure Activities Licensing Regulations 2004 requires providers of certain adventure activities to be licensed. The Corporate Manslaughter and Corporate Homicide Act 2007 holds an organisation responsible if their activities were organised or managed in such a way that this caused or contributed to the death of someone to whom they had a duty of care. Placeholder image for Keeping children safe in schools – Can you ensure staff compliance? Keeping children safe in schools – Can you ensure staff compliance?